For this smoked ribs recipe you’ll need four sauces or glazes. This is an easy guide for smoking ribs, perfect for beginner pitmasters, or those who want to go back to basics and up your rib smoking game. Step one, cleaning up the ribs. Remove any packaging, and pat off moisture with a paper towel. Next, trim off any excess or hard fat and loose flaps of meat. Remove the membrane from the bones side. If needed, cut the ribs into shape. Next up, grab your favorite rib rub. Give the racks a nice and even coat on all sides, then let the meat sweat through the rub for ~20 minutes. In the meantime, fire up your cooker! Light your fuel and wait till temperature reaches the 230 – 250ºF range. If you’re using a barrel cooker, follow the process as shown in the video. Cook the ribs for 1.5 to 2 hours at this temperature. What you’re aiming for at this point is for them to develop that nice, deep red color. Once you reach that point, pull the ribs from heat. Time to wrap the ribs. Use either tin foil or butchers paper and wrap tightly, but making sure not to tear the wrapping. Then place the ribs back on the pit for a second round. The meat will now tenderize and fully cook. Check after about another hour and a half. The meat should be tender enough to poke through with a toothpick or meat probe without any resistance. If it needs more time, leave them on for another 30 minutes. 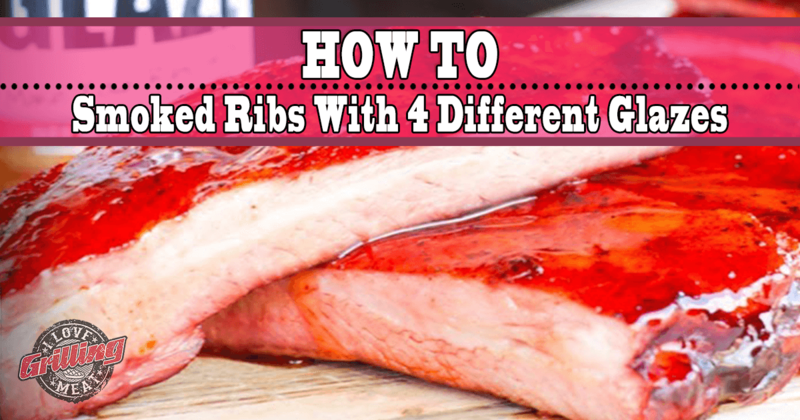 When done, get the ribs off the heat and unwrap to stop the cooking process. Time to sauce these babies up! Slice the racks into individual ribs and mop them with your favorite BBQ sauce – or, as pitmaster Cosmo did, use several!